The St. Croix Foundation announced it will host a small delegation of board members from the Southern Partners Fund who are on the island through Saturday. 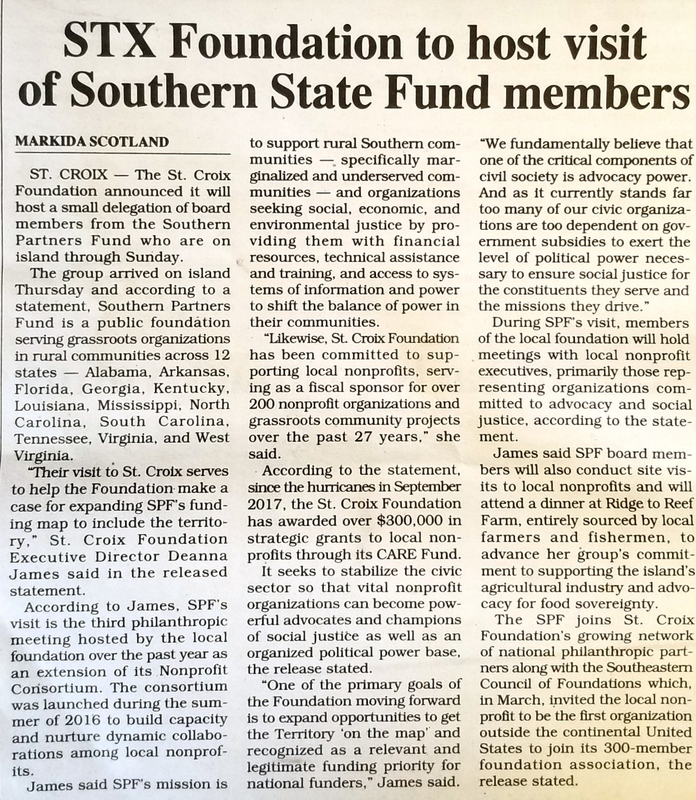 SPF joins St. Croix Foundation’s growing network of national philanthropic partners. Read the complete article here.